Château La Coste, in collaboration with Lisson Gallery and kamel mennour, is delighted to present an exhibition of new and recent work by Lee Ufan. Housed within a custom-built gallery space designed by French architect Jean Michel Wilmotte, this is the second exhibition in Château La Coste’s art programme, which launched in 2015 with a solo show by Sean Scully. Based in Le Puy-Sainte-Réparade, a few kilometres away from Aix-en-Provence in France, Château La Coste is home to a number of site-specific commissions by artists including Louise Bourgeois, Andy Goldsworthy, Tatsuo Miyajima, Richard Serra and Lee Ufan, placed alongside 125 hectares of vineyards and Villa La Coste, a new luxury hotel that will open to the public in summer 2016. The house itself, designed specifically by Lee, offers visitors both a physical refuge and a place of reflection; a site of meditation and a pause for thought, where the views of the surrounding hills are framed by rows of vines. 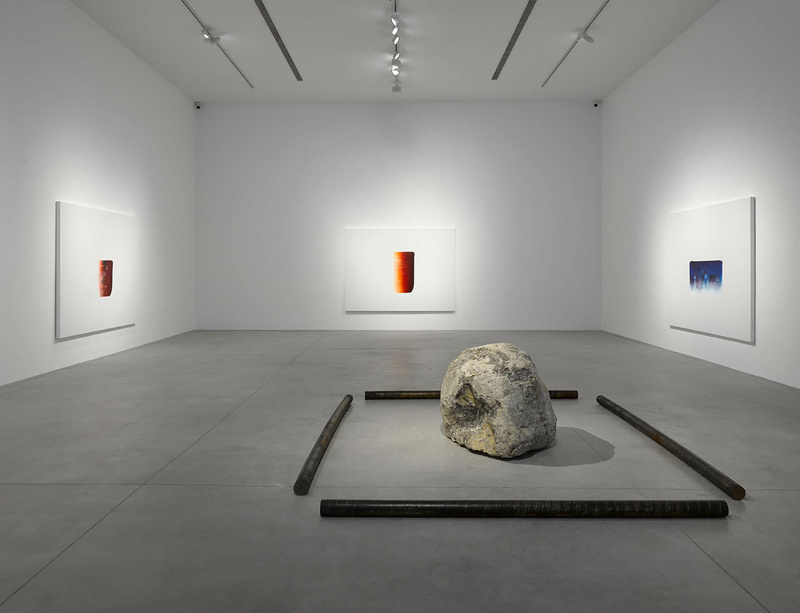 The immersion of Lee Ufan's work within the landscape is a powerful illustration of his inner beliefs in the role of art and its ultimate evolution and dissolution into air – a theme further explored in Lee’s solo exhibition at Château La Coste through new paintings and sculptures. The exhibition runs from 29 May until 24 September 2016.